Thank you for committing to bring your game(s) to the 2019 Southern-Fried Gaming Expo! Your contribution will help make the weekend more fun for everyone! Treat this like a car show – what’s the coolest/rarest/most fun game in your collection? Bring it to the Expo and show it off for the world to see! We’ll be giving away prizes like autographed flyers, t-shirts, and more, for “Best in Show” and other accolades. And this year’s bring-a-game rewards are fantastic! Limit 4 weekend passes per person but number of raffle tickets for Prize Drawing depends on the number of machines you bring. 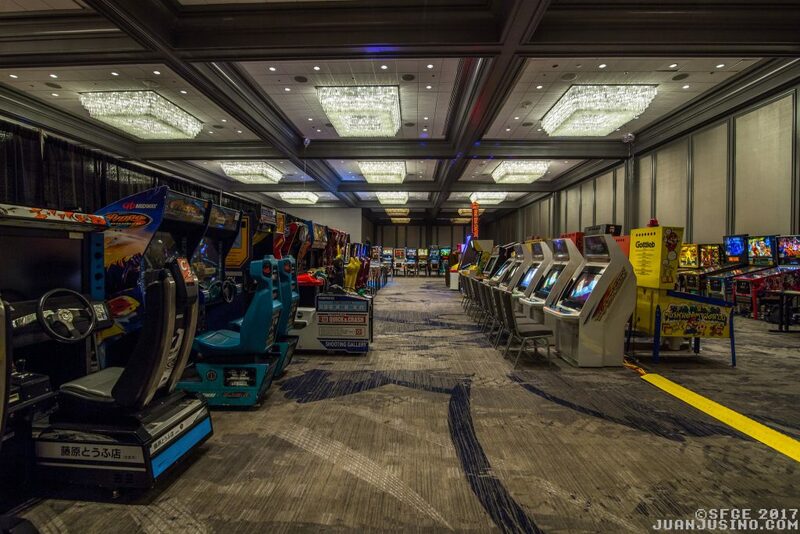 The more games you bring, the better your chances of winning all kinds of cool stuff including a full-size arcade game! Ok, now you want to bring more… Fill out the form again with the game you want to add. Southern-Fried Gaming Expo in Atlanta, July 12-14, 2019!